The quarterly Welsh language religious periodical of the Caernarfon Wesleyan Methodist Circuit. The periodical's main content was news from the circuit. 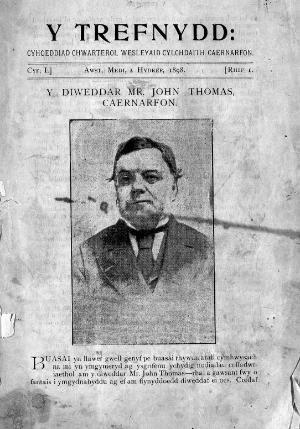 Amongst the periodical's editors were John P. Jones (Ioan Glan Menai, 1830-1915), Owen Madoc Roberts (1867-1948) and Robert Thomas Roberts.